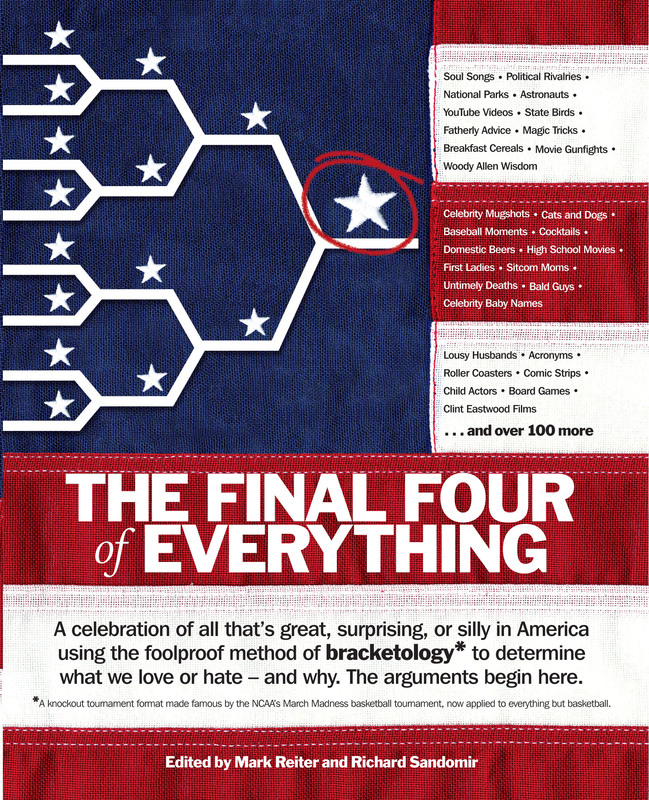 In American Bracketology, Mark Reiter and Richard Sandomir take the elegant art of “bracketology” and use it as an eye- opening and hilarious tool to celebrate everything that’s good, bad, and silly in our American way of life. • It’s great entertainment: Americans have an insatiable appetite for knowing what is good, better, and best in their world. If the issue is historical, they want their knowledge base refined. If the issue is sociopolitical, they want their preferences acknowledged. If the issue is popular culture, they want to be entertained. If it’s a consumer issue, they don’t want to be cheated. For the uninitiated, bracketol- ogy is, literally, “the study of brackets.” It derives from the bracket format used to rank the top sixty-four basketball teams in the annual NCAA tournament known as March Madness. That knockout tournament format, the subject of heated debate among hundreds of thousands of people participating in office pools around the land, gave birth to the term bracketology. This is a book that allows Americans to play this game on a much bigger field. The authors have assigned more than 150 brackets—tackling challenges from the serious to the comic, the vital to the trivial—to the finest experts, writers, and personalities this country has on tap. • It’s authoritative: So imagine: Gail Collins on First Ladies, Walter Isaacson on Ben Franklin Wisdom, David Remnick on Pound-for-Pound-fighters, Calvin Trillin on Sandwiches—you get the picture. Frank Rick on The Underserving Hall of Fame, Kevin Conley on Greatest Movie Stunts, Paul Slansky on the Lucky Sperm Club.